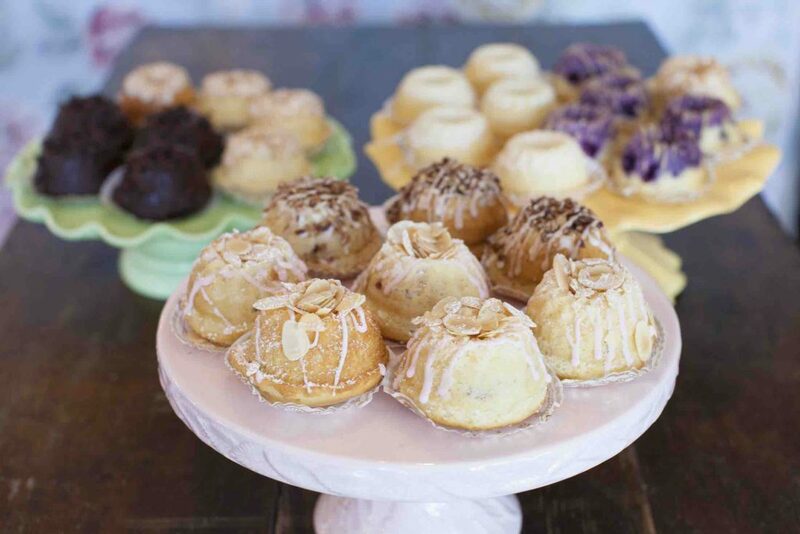 Beyond our wedding and celebration cakes, you can find our signature flavors in smaller indulgences. Click MENU for our complete, printable dessert menu. To order or get any questions answered, contact weddings@buttercream.info or give us a call at 651-642-9400. Apple Cinnamon Pecan, Chocolate Coconut Macaroon, Key Lime, Lemon Blueberry, Pina Colada and Raspberry Almond. 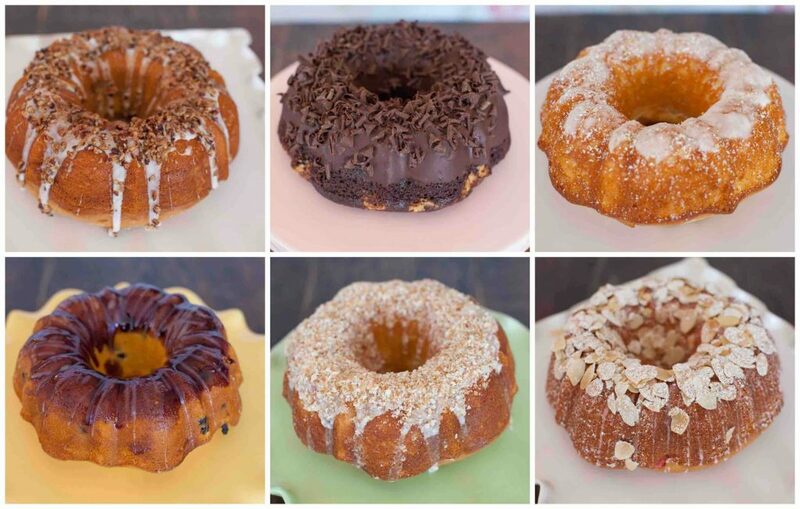 Minimums of 6 per flavor for the bundtlets and we also have a variety box of 12 bundtlets that includes 2 of each of the 6 flavors. Apple Caramel | A fall favorite but great throughout the year too! Our vanilla cheesecake with bits of apple, caramel and iced in white chocolate ganache, a drizzling of caramel and garnished with yummy apple caramel candies. Bailey’s Irish Crème | Our bestseller! Chocolate cookie crumb crust, Bailey’s liquor, and a delicate cheesecake finished in chocolate ganache. Chocolate Truffle | Layers of chocolate truffle and rich chocolate cheesecake. Just like our truffles, but in a cheesecake! Florida Key Lime | If you like Key Lime pie, you’ll love the cheesecake! We use real key limes in our light cheesecake. New York | Our dense and creamy cheesecake simply finished with our white chocolate ganache and large white chocolate curls. The best New York cheesecake around! Pumpkin Spice | For pumpkin lovers and a great alternative to pumpkin pie, our creamy and light cheesecake with a hint of spices is finished off in a white chocolate ganache with delicious little pumpkin caramel candies. Raspberry White Chocolate | A delicious raspberry swirled cheesecake… this is on a graham cracker crust and is finished with white chocolate ganache and fresh raspberries. Turtle | Chocolate ganache, pecans, and caramel are generously swirled throughout this cheesecake which is iced in chocolate ganache, drizzled with caramel and sprinkled with pecans. Chocolate Flourless | Our secret recipe this flourless torte is smooth, rich and decadent. Chocolate Raspberry Flourless | Our smooth flourless chocolate torte awakened with raspberry tartness. Chocolate Orange Blossom | Our smooth flourless chocolate torte with orange. Chocolate Pistachio | Our flourless chocolate torte with pistachio. Triple Layer Filled 6″ Rounds | Amaretto, Chocolate Irish Cream, Lemon Strawberry, Raspberry Marble, Strawberry Shortcake and Marble filled with Vanilla Mousse. Cupcakes | Available in Vanilla Mousse, Amaretto, Irish Cream and Raspberry Royale. Classic | Dark chocolate brownie topped with rich fudge frosting. A perfect base for ice cream desserts. Cream Cheese | Our rich, dark chocolate brownie topped with a layer of our sweet cream cheese icing and Belgian chocolate shavings on top. Crème de Menthe | Our homemade brownie topped with mint icing and drizzled with dark chocolate ganache. Peanut Butter | Our rich, dark chocolate brownie with a layer of peanut butter cream cheese icing then drizzled with ganache. Pistachio | Our rich, dark chocolate brownie with a layer of pistachio cream cheese icing. Raspberry Chocolate | Our homemade brownie with a layer of raspberry cream cheese frosting and rich chocolate drizzle. Salted Caramel | Our rich, dark chocolate brownie with a layer of cream cheese icing drizzled with caramel and sprinkled with salt. Turtle | Our classic brownie sprinkled with pecans and drizzled with caramel. Walnut | Our classic brownie, topped with crunchy walnuts. Carmalitas | A buttery crust topped with chocolate chips, walnuts, pecans, and caramel creates a delicious chewy bar. Carrot Bars | A moist, dense bar with lots of carrots and walnuts, frosted with a cream cheese icing. Luscious Lemon Bars | Fresh lemon juice and zest make the lemon curd filling for this very popular bar. Mounds Bars | This treat is loaded with chewy coconut and covered in dark chocolate ganache, like the candy! Peanut Butter Bars | Loaded with peanuts and topped with peanut butter cream cheese icing, then drizzled with chocolate. Pumpkin Bars | Spiced pumpkin bars topped with a light cream cheese icing. For your wedding receptions, corporate events, dessert buffets, cocktail parties or for whatever the need…we have your desserts covered! 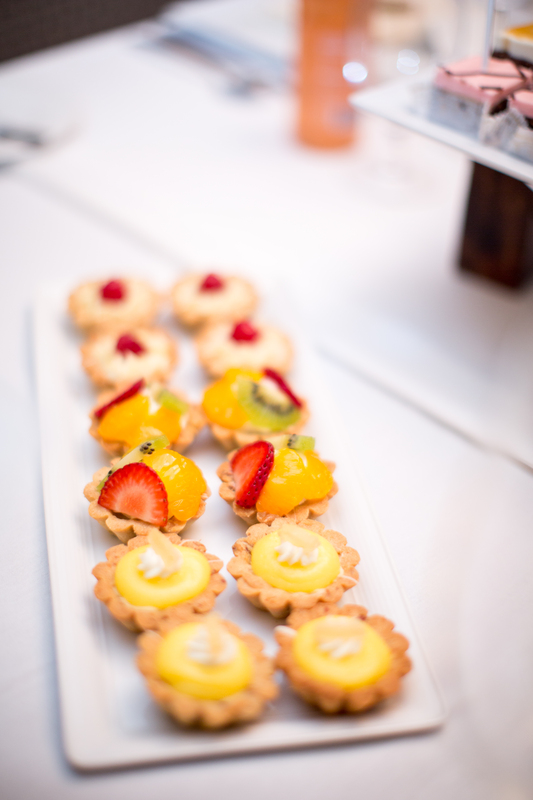 Glazed Fresh Fruit | Our nutty tart shell with a filling of cream cheese mousse topped with beautifully glazed kiwi, mandarin orange and sliced strawberry. Painted Truffle | Our chocolate ganache fills this classic white tart shell. A trace of gold adorns the tart giving it its “painted” name. White Chocolate Raspberry | Chopped raspberries covered with white chocolate ganache a fresh raspberry and curls of white chocolate. Lemon Mascarpone | Our sweet pastry shell dashed with a hint of mascarpone cheese then filled with tart lemon curd. COOKIES | Ginger, Kransekake Bites, Oatmeal Raisin, PB Chocolate Chip, Pecan Coconut w/ Chocolate, Pistachio Chocolate Shortbread, Russian Tea and Raspberry Thumbprints. Handmade in our bakery available in Almond, Crème de Menthe, Dark Chocolate, Orange Marmalade, and Raspberry. Amaretto, Bailey’s, Cappuccino, Pistachio, Raspberry, Vanilla Bean and more! Dark or White chocolate dipped or Tuxedo or Bride. Available in many of your favorite torte flavors that include Baileys, Carrot, Raspberry Royale, Red Velvet, Cookies and Cream, Vanilla Mousse and more and also in our very popular variety boxes of 6 and 12. Peanut Butter, Pistachio, Raspberry and Salted Caramel. Baileys, Chocolate Truffle, KeyLime, New York, and Turtle. Amaretto Almond, Baileys, Carrot, Chocolate Mint, Chocolate Pistachio, Key Lime, Peanut Butter, and Raspberry Red Velvet! Baileys, Key Lime, New York, Raspberry White Chocolate, and Turtle. Some of our popular mini desserts done in varieties of 12 per box.